Focusing on the user is very high on the priorities list of Google. Regardless, many SEO specialists ignored this fact in the past and instead aimed to create web pages mainly for web crawlers. 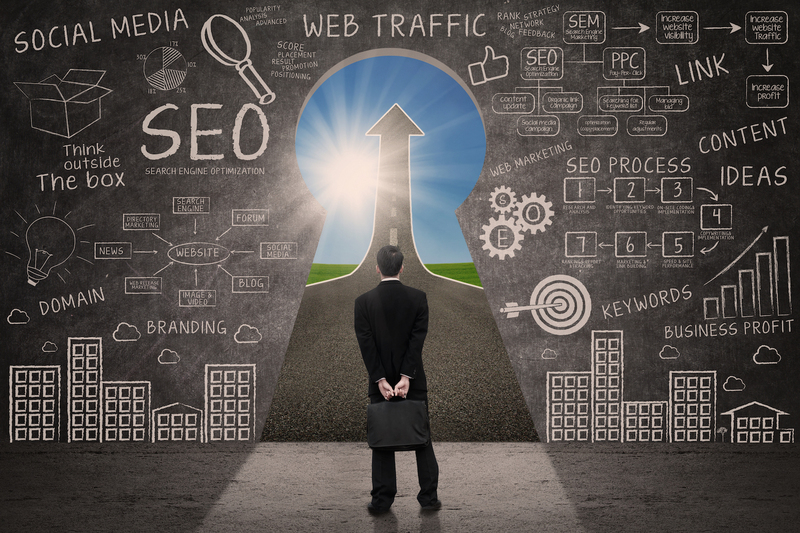 A strategy such as that only focused on SEO was successful a decade ago. Since that time, the main search engines have evolved a great deal. Google, for example, has become so sophisticated with its algorithms that it discerns between designing for SEO and designing for user experience. This doesn’t mean that one should abandon SEO is favor of a design entirely focused on user experience. Successful web designers take both into account but give priority to user experience. Sidebars make a web page design look cluttered. That makes your page less user-friendly, which is almost as important as online privacy. Now that there are many different ways to incorporate additional navigational elements on your page without the use of sidebars. Instead of having sidebars, make your content the focus of the website. This will encourage page visitors to get engrossed in your content, which improves website stickiness on your end. Consider getting rid of sidebars if you want to have a sleek, modern web page design. Google introduced a major mobile update in April of 2015. It emphasizes on mobile-friendly layouts as a factor for ranking sites in search queries. It is very important that a website is not only functional but is also designed equally well to serve the needs of both mobile and desktop devices. According to Google, the searches on mobile devices already exceed searches on desktop devices in the most developed countries in the world. The trendy infinite scroll, which allows a user to see more content as he scrolls down the page has been considered a very user-friendly feature. While many sites use it, be cautious of the fact that crawlers cannot mimic the behavior of users 100%. A large portion of the content users see remains invisible to search engines, just as cybercrime does. In order to ensure fast page load time and allow users to find the content they are after easily, Google recommends the use of pagination alongside infinite scroll. Tabbed content or click-to-expand serves content only when the user clicks a tab. There is a large probability that Google will ignore a lot of that content and will not index it. The practice should be used sparingly and with a dose of caution. Although a great feature for the fans of minimalistic web design, click-to-expand could be counterproductive to SEO, warn the specialists at Blue Hat. While a great way to convey a lot of information in the smallest amount of time, image-heavy pages sometimes do not perform as well as text-only pages. This is especially true when the images are either a poorly chosen design elements or generic stock photos. Google is fond of images and they do appear on image searches on Google and benefit SEO as long as they have descriptive file names, are surrounded with relevant text and include alt text. It is important to maintain a balance between images and text and use your best judgment to accomplish this. Ask yourself whether you are using images that appeal to your visitors. Do you hide meaningful text at the bottom of nondescript images and force your users to scroll to reach it? Is there enough text on the page to provide value to the user? SEO is not the only technique that is dated. Many websites follow a standard design that was originated years ago. The internet, and the way the public uses it, has changed! It is time to change the basics as well. It is up to you how you want users to navigate the site when you start your own online business. Do not be afraid to take a risk on the way users to navigate your page. If you have an idea for a new type of search feature that does not involve a bar, go for it! View every part of you page with a magnifying glass. If you know of a method that may improve the user experience, try it out! You will not be disappointed. Following the advice of Google is always the best way to satisfy the search engine. Design with the user in mind and good SEO results will follow.